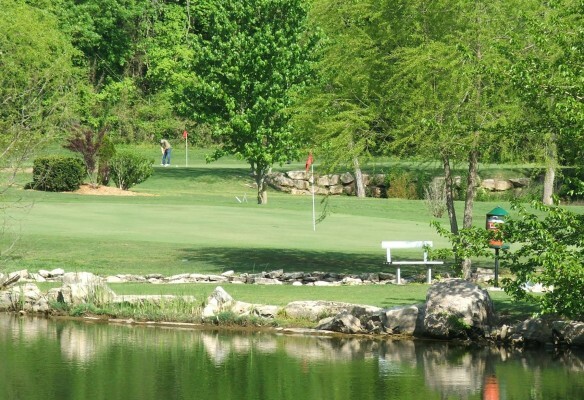 The Don Gardner Golf Course, operated by the city of Branson’s Parks Department, is a nine-hole, par 3 course. Located in Eiserman Park next to the Branson Community Center, near downtown Branson. Named after local golf professional Don Gardner, this inexpensive walking course is a suited for golfers of all ages and skill levels. With tee-to-hole distances range from 82 yards to 182 yards, the Don Gardner Par 3 Golf Course features two ponds, several sand traps to test your skills, and a practice green. No tee time required. Open year-round, 8 am-1 hour before sunset. Greens fees $15-$18 adults, $7-$10 children. Pull-carts are available for $2 and rental clubs for $3.